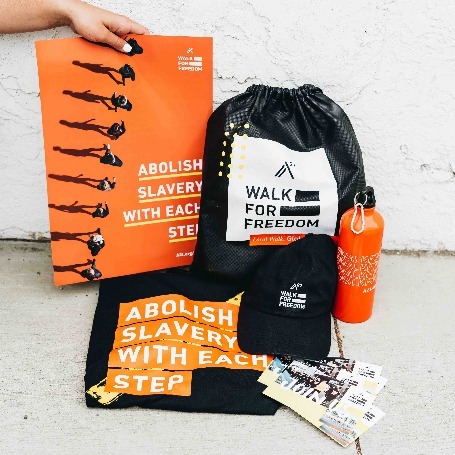 The first 1,300 people to purchase a Freedom Pack & Register to walk will also receive a survivor-made, special edition Walk For Freedom t-shirt. 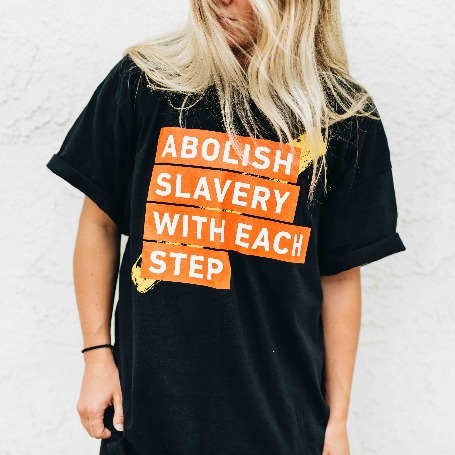 This shirt is made in partnership with Known Supply and will ship separately than your freedom pack. * Please note that freedom pack purchases will be matched to the individuals registered. 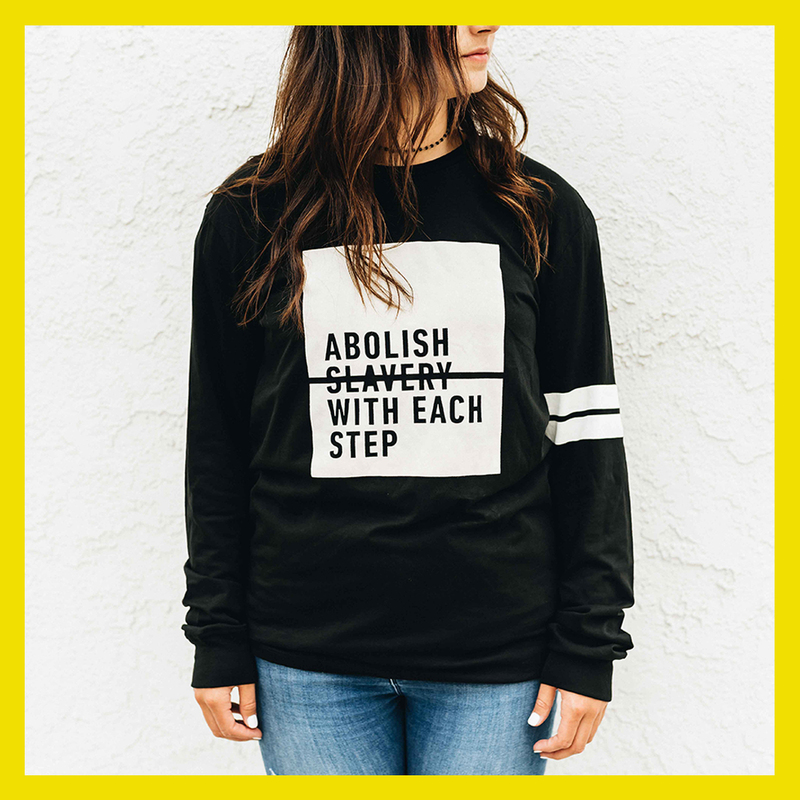 Multiple purchases made by a single registrant will not result in receiving multiple survivor-made shirts. (i.e. 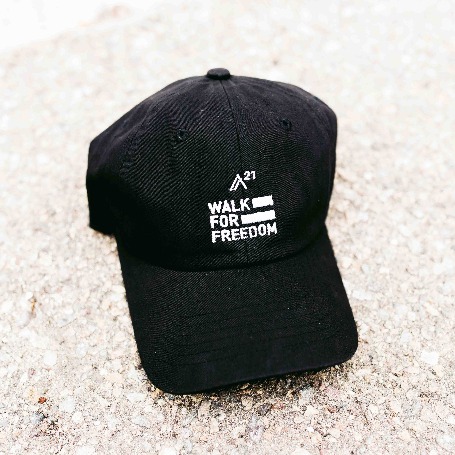 if one person registers & purchases 3 Freedom Packs, 1 survivor-made shirt will be sent. However, if an individual registers 2 additional people & purchases 3 Freedom Packs, then 3 survivor-made shirts will be sent.